Hana Malhas likes to describe her music as borderless indie folk-pop. She chases summer every year from the US (her current residence) to Amman, Jordan (the hometown she hails from). 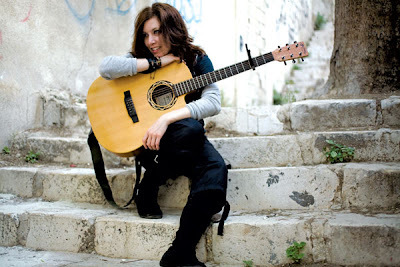 She sings mostly in English (but sometimes in Arabic) and performs solo and/or with her band The Overthinkers (which varies from duo to full band) on stages in both the US and the Middle East. She is a storyteller with an expressive vocal delivery. Her shows over the past year have included such venues as The Ark in Ann Arbor, Top of the Park at the Ann Arbor Summer Festival and the Citadel in Amman. Places performed include: Michigan (Ann Arbor, Ypsilanti, Detroit, Dearborn, Grand Rapids, Traverse City, Albion), New York City, Chicago, Boston, Milwaukee, Jordan (Amman), and Lebanon (Beirut). In September 2011 Hana Malhas performed live with the Lebanese band Mashrou' Leila at the Citadel in Amman. Here are some video clips featuring Hana Malhas singing in English plus one in Arabic. The song below is the official video clip for the new single from Hana's new album Hana Malhas & The Overthinkers. Released June 5th, 2012. Directed, shot, and edited by: Ali Saloum (http://www.alisaloum.com). Starring: Emi Guimond, Shane Firek, and friends in costumes. Finally here is a beautiful duet, in Arabic, featuring Hana Malhas and Yazan Al Rousan. This song is titled 'Trouh' and is about religious tolerance. It is available on Hana's CD Hana Malhas & The Overthinkers. It may be purchased on Soundcloud or iTunes.